It’s nearly 10PM, you should be preparing to hit the sheets. That’s when your stomach starts rumbling with hunger. You’ve been told over and over how eating late makes you gain unnecessary fat. 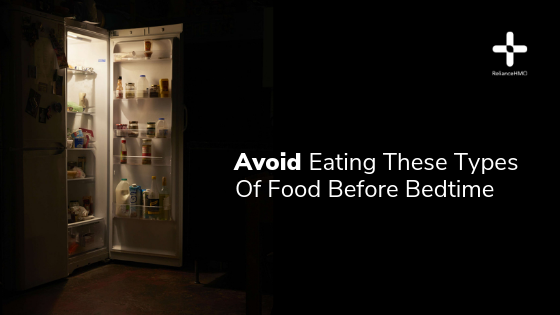 While there’s more to it than just getting heavy, you might need to start making some smart choices about your midnight snacks. 1) Caffeine – Taking drinks rich in caffeine is a bad idea past bedtime. The main culprit here is coffee. When taken as early has 6pm, coffee has been shown to disrupt sleep. 2) Dairy fat – Drinking warm milk before bed can help you sleep better, that’s because a sleep-inducing amino acid is present in it. However consuming food rich in high-calorie butter or cheese will really clog your system and reduce the quality of sleep you get. 3) Beans – Eating beans late leads to excessive gas and eventually bloating. This will most certainly disturb your sleep quality and the next day. 4) Oily/Spicy foods – Avoid late eating of oily food they cause indigestion, Spices lead to flatulence and disturbed sleep. 5) Alcohol – Taking alcohol gets you drowsy and in a way bogs you down. It just won’t give you the kind of sleep you want to have.